Layla will be starting school in Spetember (sobs) and I'd like her to be atleast a little prepared when it comes to letters and numbers. She will have only just turned four when she starts so I don't want her to feel like she is behind in comparison to some of the older children who will be in her class. So when I was offered the chance to read a collection of books about ABC's and 123's from Flash Kids Editors, my thoughts were that they could come in real handy. 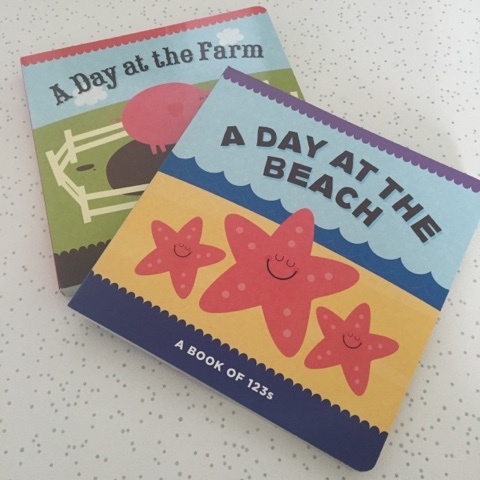 A Day at the Farm concentrates on letters whilst A Day at the Beach looks at numbers. What makes them different compared to other books that concentrate on the same type of learning is that they each follow a theme rather then picking out random objects to look at and I think this makes for easier understanding of the content inside. 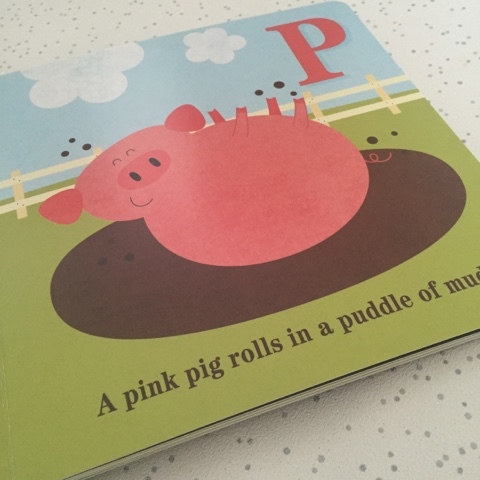 Bursting with colour, both books appear to encourage little learners to get involved with each turn of the page. Lets start with A Day at the Farm. We find ourselves on Farmer Al's farm and here we discover various animals, vehicles and foods which you would expect to find in a place like this. From pigs and sheep to tractors and weather vanes. You get the opportunity to look at the letters but you can also extend the learing further by discussing other things for example the noises which the animals might make. The one thing that I felt could have made this book better is if the letters were displayed in both upper and lower case. Only upper case is used and of course when writing this isn't the most common form for letters. A Day at the Beach if you haven't guessed already is based around the seaside. You see Starla the starfish counting objects, starting from number 1 right up to number 20. From fish and crabs to buckets and spades, each one easily recognisable. 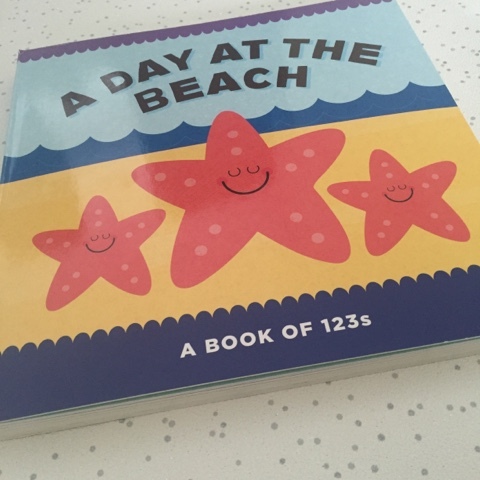 The numbers are displayed both numerically and in written form within the sentences which means once your children recognise the numbers they can begin to read them too. Again there is more to this books than just number learning and recognition. 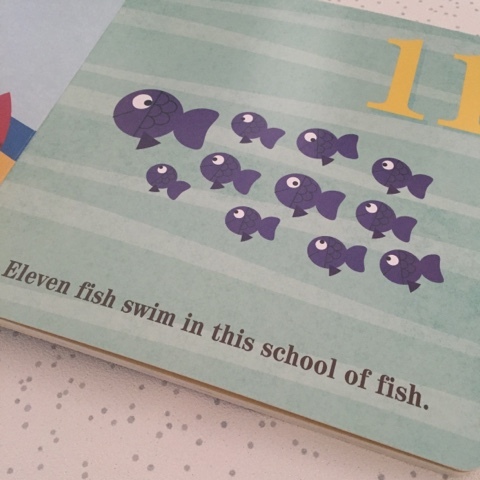 Children get to learn facts, for example you see that clams contain pearls and a group of fish is actually known as a school. Both books are filled with wonderfully bright and fun illustrations which are definitely appealing to younger children, something to catch their eye and get them interested. The numbers and letters are big and bold, making them stand out on the pages. And being board book form they are perfect for little hands. I'd say they would be best suited for children aged 1-5. Your children will get a lot of use out of them as they grow. Priced at £4.99 each these books are great learning tools and also highly entertaining. Ideal for any younger child whether they have any prior knowledge of letters or numbers or not. These books look very sweet. I love the illustrations too, so big and bright. 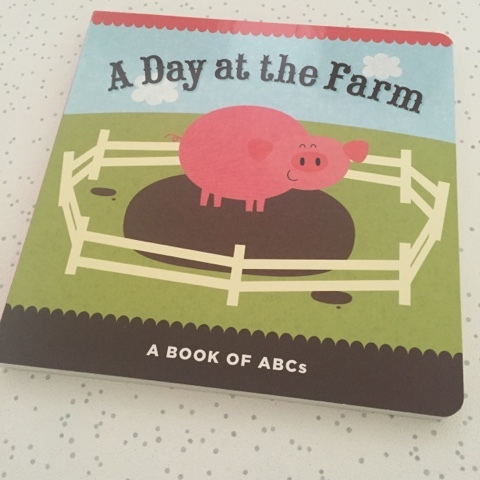 A trip to a farm to spot as many of the things in the book as you can, and remember the letter they begin with, would be a lovely follow up activity too. These look cute. My niece is 3 this month and she loves to read. 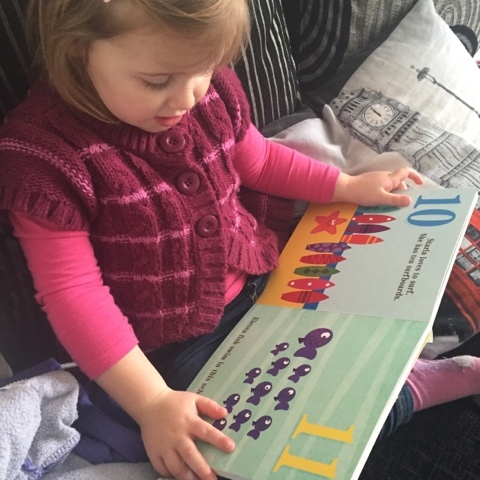 She is great with her numbers and colours and would love to read books like this!